We need to know how many miles a motoring sailboat can travel in a day. Our speeds have been 5.2 mph, 5.mph, 8 mph, 6.3 mph, and 7.1 mph. What is our average speed? 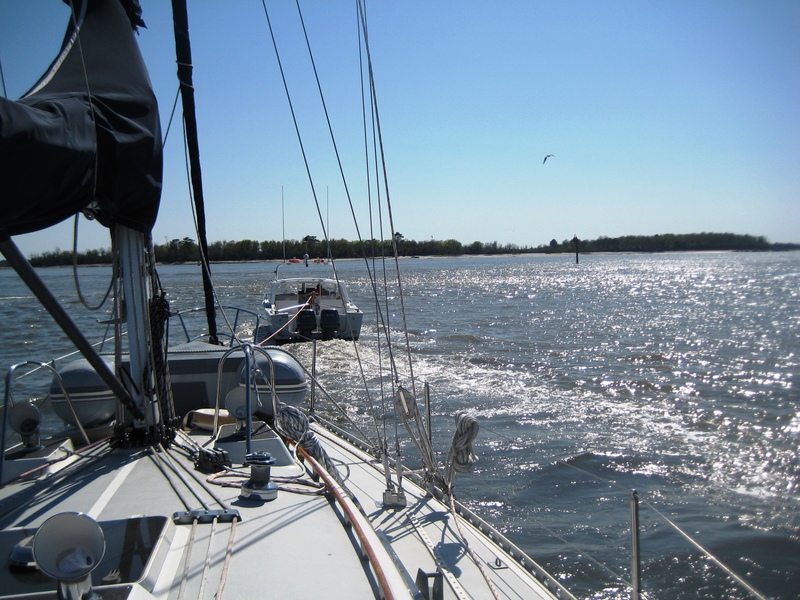 We can only travel in daylight hours when we are motoring in the intracoastal waterway (ICW). Sunrise is at 7:30 am and sunset at 7:30 pm, but realistically we usually leave about 9 am and try to anchor no later than 6 pm. How many hours can we travel in a day? 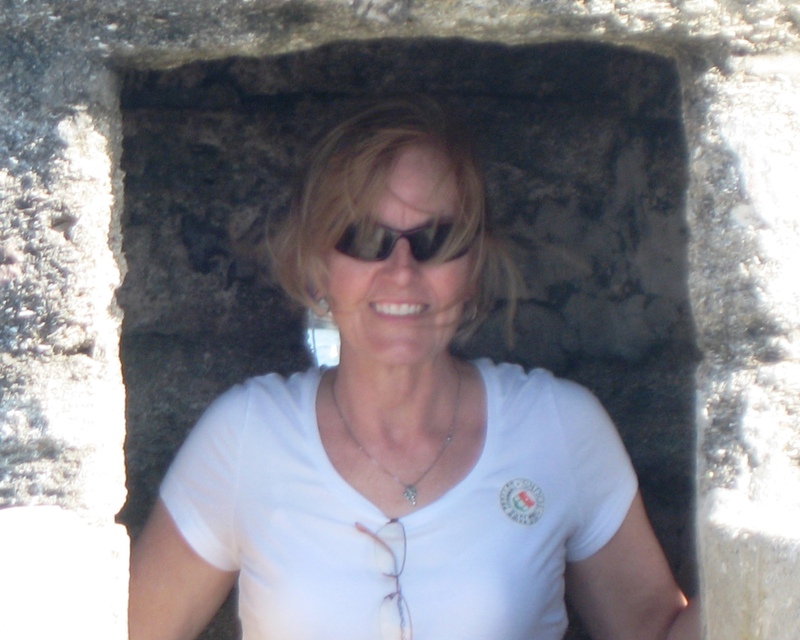 It is about 600 miles to Key West, Florida from Charleston, SC. How many days should it take for us to get there is maintain our average speed? Mrs. Salyer, you would be pleased to know that I am reading every day. Mrs. Little is reading Gone With the Wind and she lets me read over her shoulder and reads aloud to me sometimes. I bet I am reading 1-2 hours every day!!! And Mrs. Harrison, did you know that Gone With the Wind is set during the Civil War? We are now in the part during Reconstruction. It is really good but it has over 1000 pages! I don’t know how long it will take to finish. I’ve also had a vocabulary lesson today about boat parts. I will share that later. I am learning so much. Thank you Mrs. Salyer for not being too angry with me. Oh, and by the way, the reason I didn’t take my backpack was that it was a spur of the moment decision and I really thought I would get caught before Mrs. Little even left the building. If I don’t talk to you again, I hope you all have a nice Easter and springbreak. Maybe we will find a church somewhere along the water on Sunday. I guess I am going to miss the egg hunt also. I don’t believe the Easter bunny can swim. P.S. 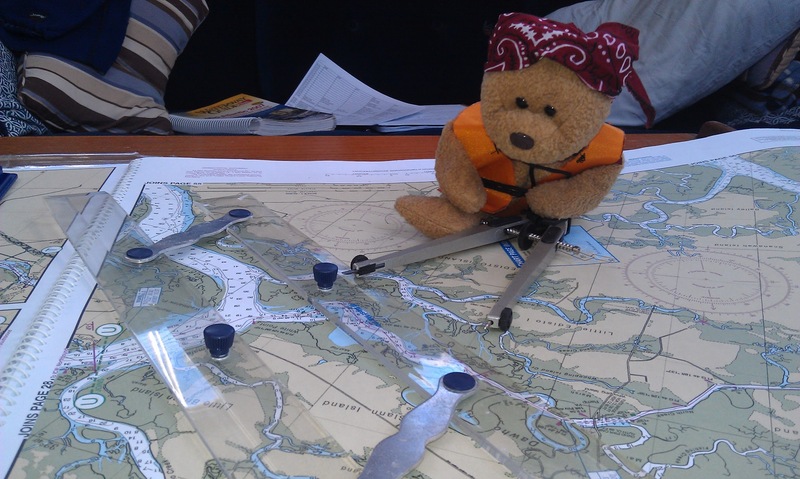 Captain James is so impressed with my math ability, he is teaching me how to use the charts to navigate. I hope ya’ll had a restful springbreak because I didn’t. 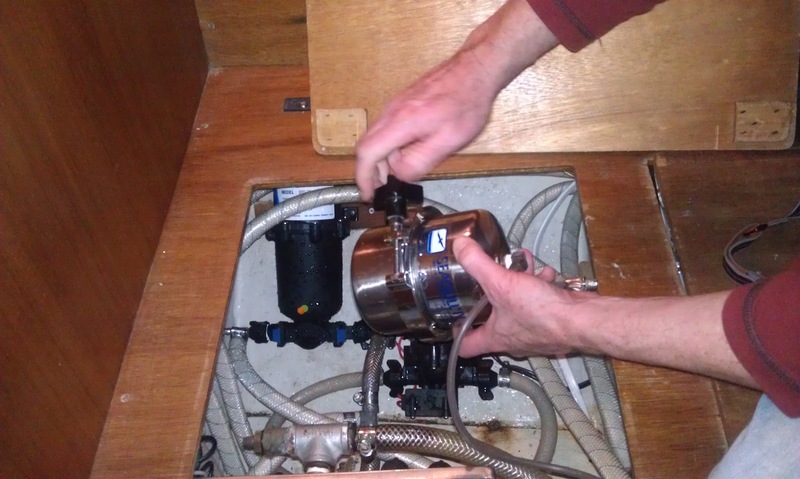 On a sailboat there is always work to be done and learning even though I am not in school. Is that how it is when you are grown up and no longer in school? Hmm? I guess now I understand when Mrs. Salyer and Mrs. Harrison say you have to be a lifelong learner. Each water tank holds 40 gallons of water. To purify the water, we need to add 1 teaspoon of Clorox for every 10 gallons. How many teaspoons do we have to add to each tank? We have three tanks. How many teaspoons do we need for the whole boat? This is a much simpler math problem than the last one I sent you, but it just amazes me how much we use math every day! Here is another picture of me when they were pumping out the waste. I don’t like that job. EWW! I will write again over the weekend. Even though it is fun, I miss ya’ll !!! The days seem to be flying by us. We have now been on the water 17 days and will be in Daytona Beach this evening. This is the first day in quite a while that I have had time to myself. The guidebooks and sailors bemoan the low water in Georgia, but at least you know where those areas are unlike what we’ve experienced so far in Florida. Leaving Ferdinanda was a nightmare. We listened to the depth marker warning most of the trip with several bumps. 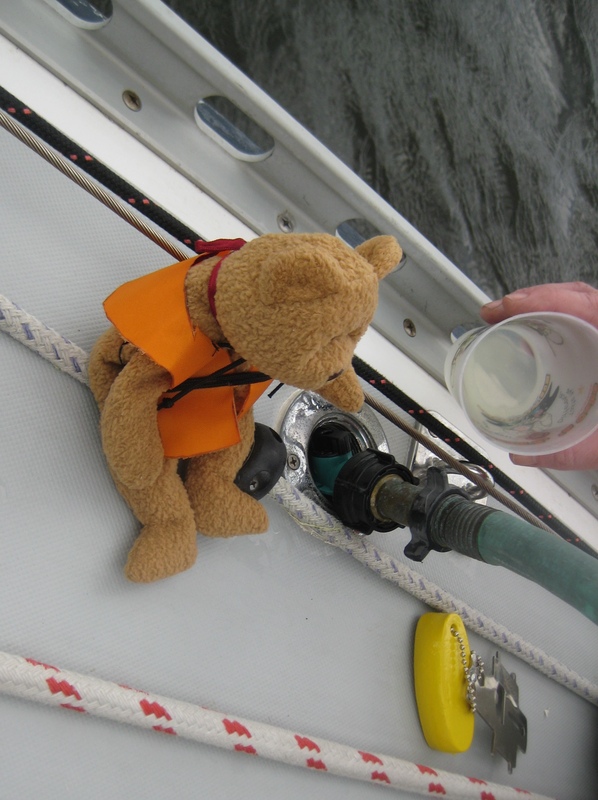 James stayed on the radio talking to other boaters-either asking for advice or giving it! I was constantly checking all our guidebooks and charts to decide where to go. 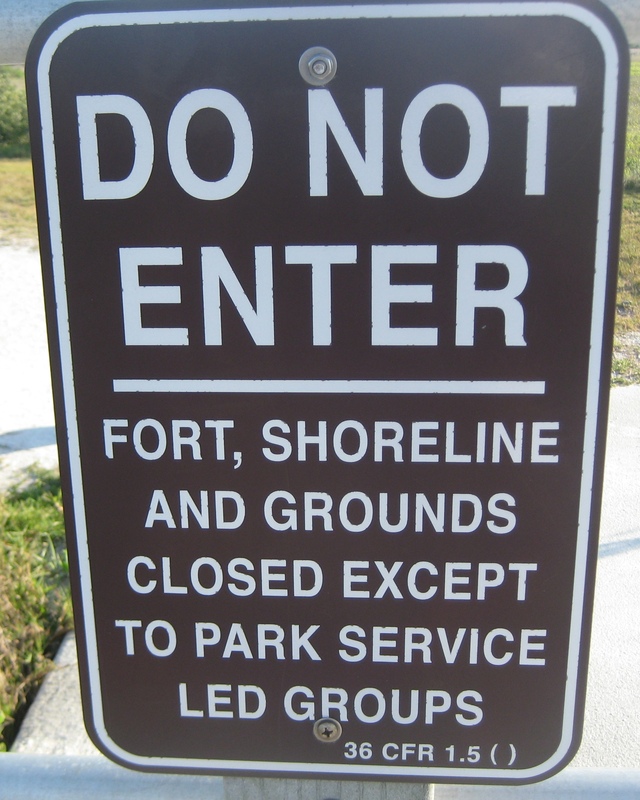 Entry into St. Augustine was a little tricky as well as leaving. We saw two sailboats aground as we left yesterday. 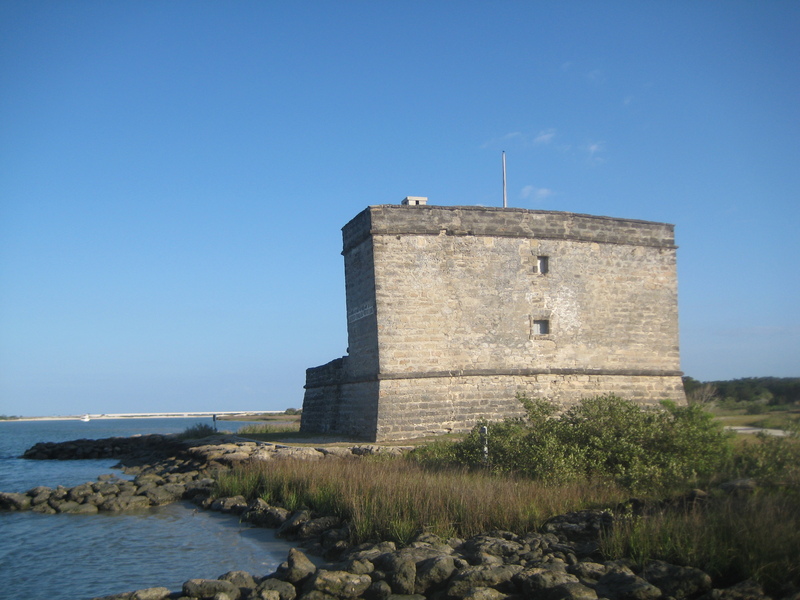 This morning we left our anchorage at Fort Matanzas, and it’s been easy motoring. oops, maybe we shouldn’t have been there after hours? 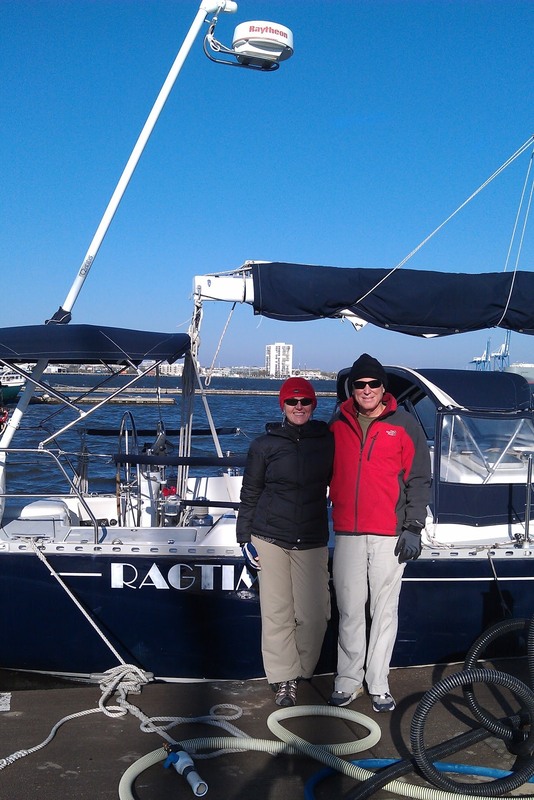 Last weekend Rob and Minta Fannon joined us for a few days on the boat while we were in Fernandina, FL. We splurged with three days at the dock. 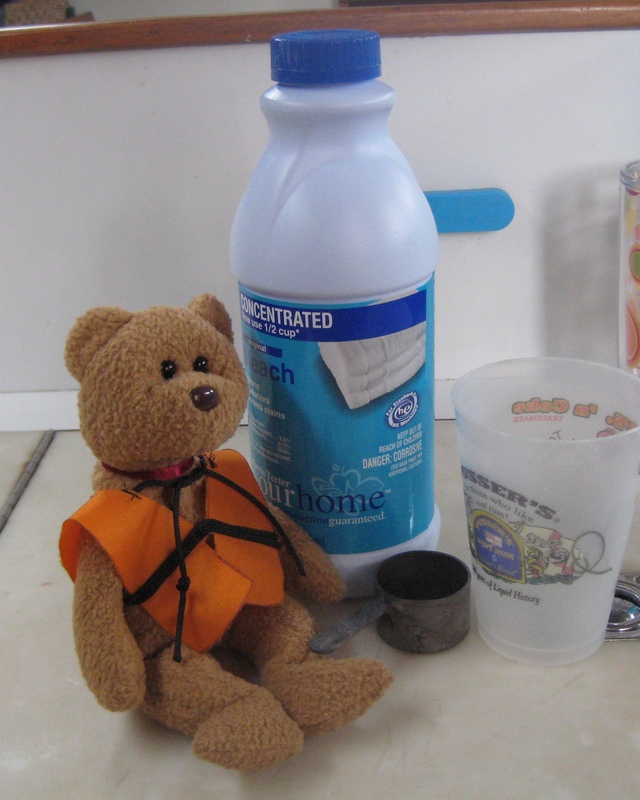 I washed clothes, took several showers, cleaned the boat, bought some groceries, and ate ashore for suppers. We also had to make some adjustments to our battery system while we were here. James plans to blog more about that at some time in the future. We did day sail in the Cumberland River on Saturday with the Fannons. 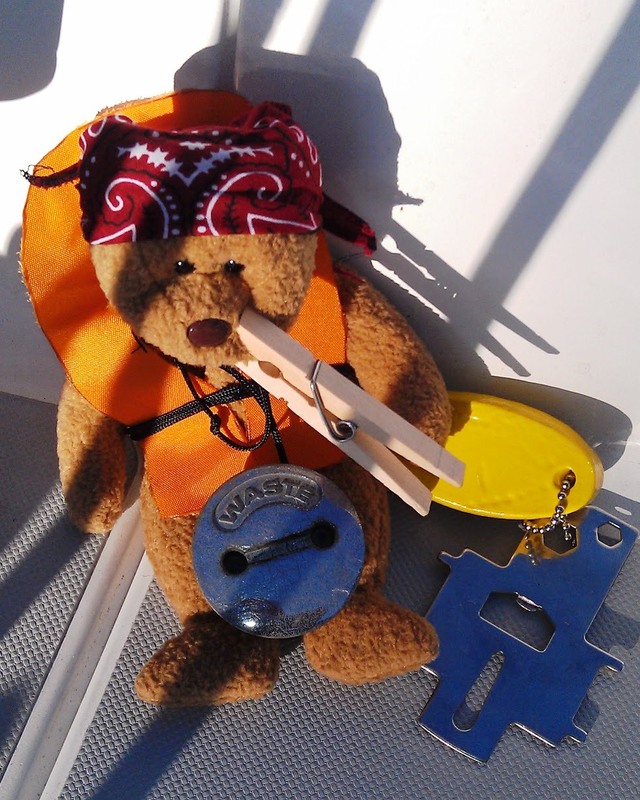 It was perfect sailing weather: sunny, cool, and windy! We had enough wind to stay reefed the whole afternoon. Friday evening we had drinks with Bob and Lynn Sistco. James knows Bob from a work project between Eastman and Rayonier (their plant is located in Fernandina). They brought along a couple they know who are sail0rs so of course there was plenty of conversation. The following evening we had cocktails onboard a sister J40 ship. James was ecstatic meeting Mike and Polli Romey from Reedville, VA. They have had their J40 for over 16 years. It was enjoyable talking about what we like and dislike about our boats as well as touring each other’s vessels. I picked up several tips of things I want to do on Ragtime. Sadly Sunday rolled around too fast for Minta and Rob and us. With a long face, we all hugged goodbye with Minta scheming as to how she can meet back with us before our trip is over! 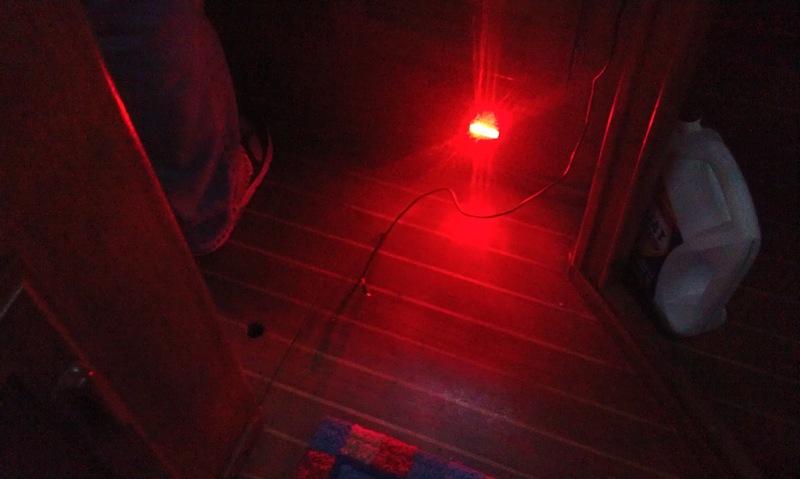 Sunday night we anchored in the St. George River. 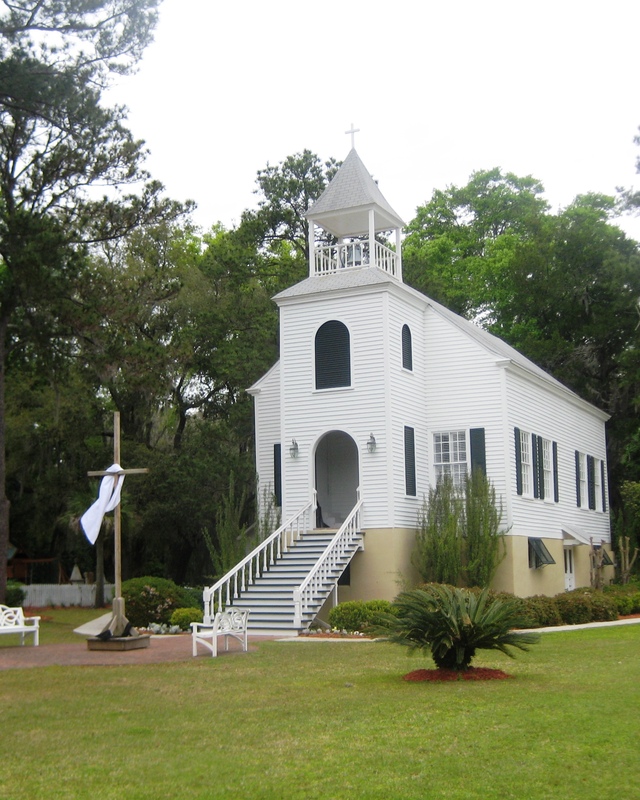 I think this has been my favorite anchorage so far because of Kingsley Plantation. We anchored abeam of the plantation house and dinghed ashore. It seemed it would be simple to just pull our dinghy up and walk to the house but once there we realized we would have to climb the seawall which was at least 8 feet tall! James was able to get a toe hold and then hoist me up in a most unladylike fashion. It brought back memories of me climbing on the Captain Table’s dock the day I couldn’t get back in Skip’s sailboat. Some of you will know what I am talking about. J The plantation house was closed but we were able to get a fairly good self-tour with the placards they have posted outside on the grounds. 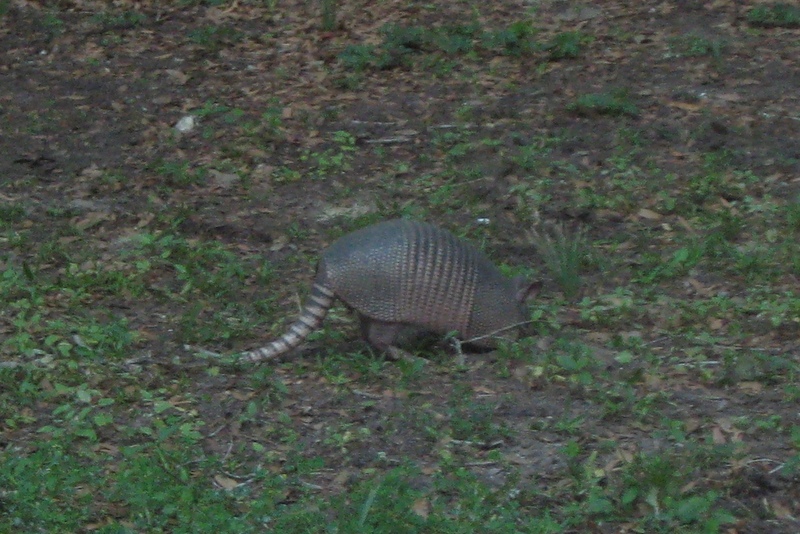 Besides the plantation grounds, the most exciting thing I saw was an armadillo. Rutting through the ground looking for insect food, he was oblivious to us. They certainly are strange little creatures. 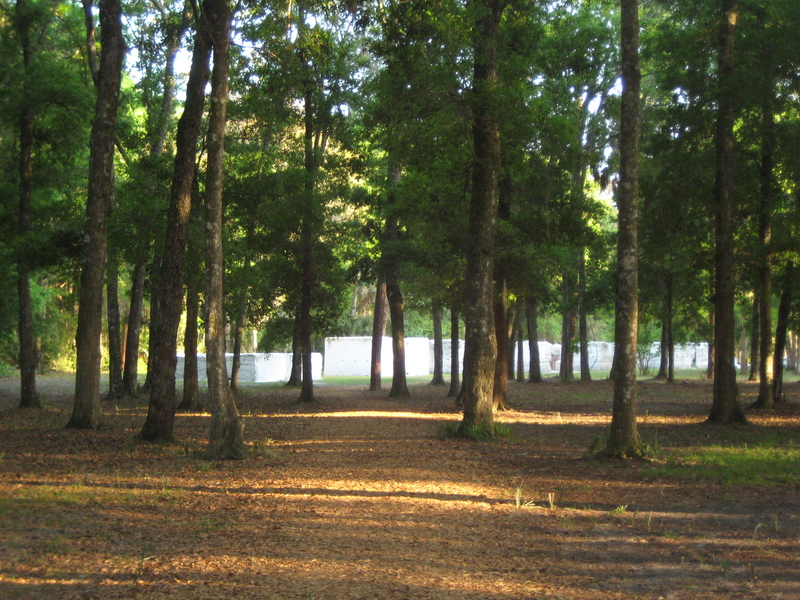 Kingsley Plantation was established in 1814 by Zephaniah Kingsley along with his wife and children. Interestingly enough is the fact that his wife was purchased a slave but he married her and legitimized the children’s birth. Law at the time forbade her from living in his house, so he built another one for her. Kingsley owned four major plantations, 32,000 acres, and more than 200 slaves. He was very progressive thinking regarding slavery for his time. He eventually moved his family to Haiti in 1837. Kingsley operated his slaves under a “task system” where slaves were assigned a specified amount of work for the day. Once they completed their work, they were permitted to use the rest of the day as they chose. 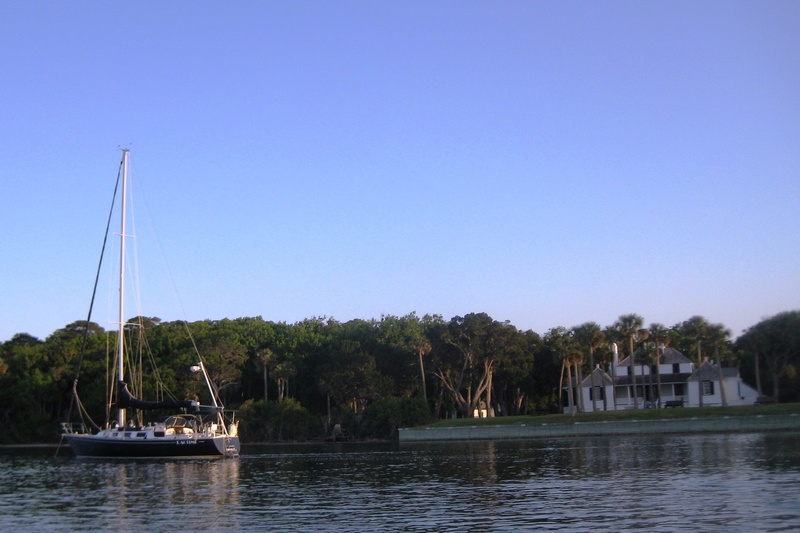 We arrived in St. Augustine on Monday, the 4th and stayed on a mooring ball for two nights. 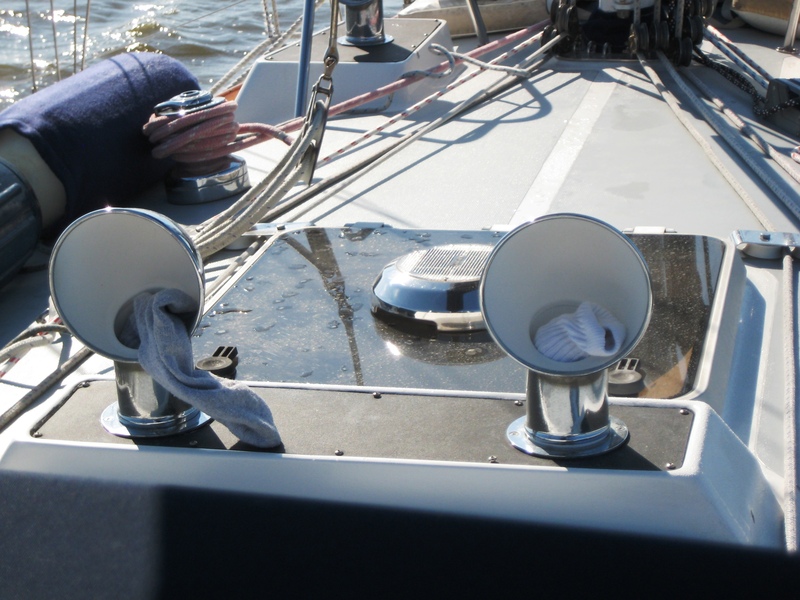 The mooring balls are $20 and allow you to tie up at the dinghy dock, free pump out, free showers and use of laundry. It seems to be a good deal. 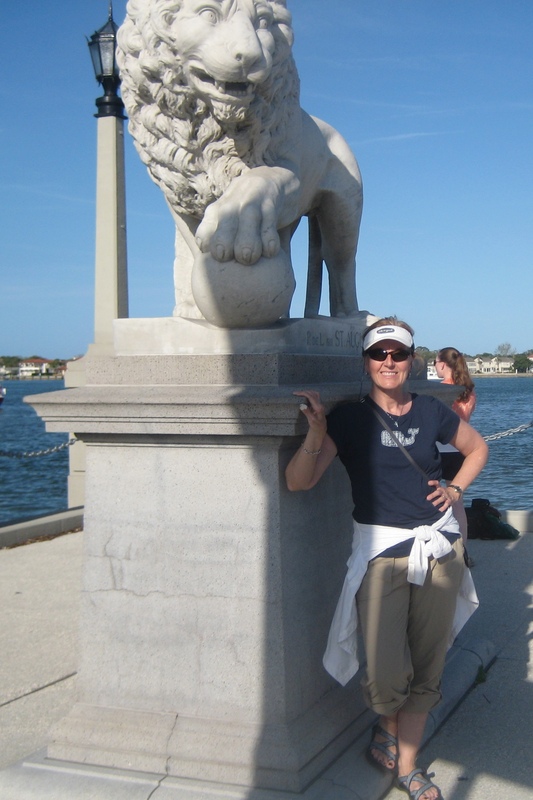 We had a beautiful view of the waterfront, the Castille de San Marcos, and the Bridge of Lions. 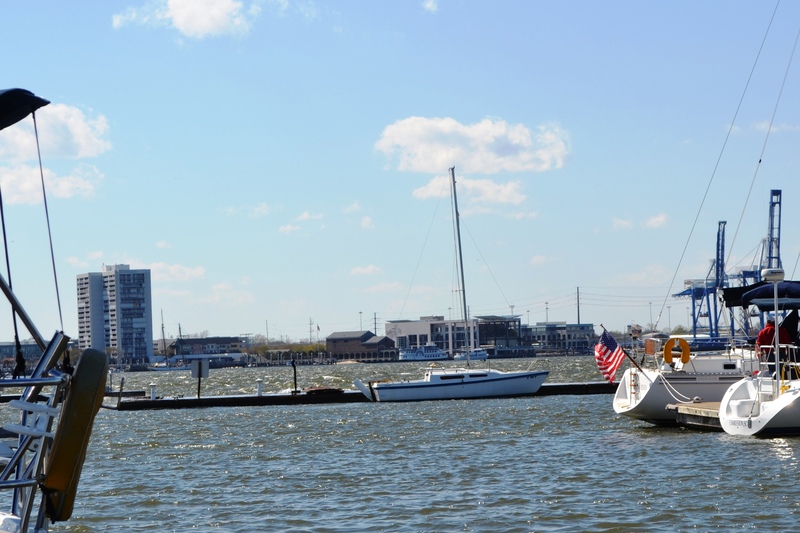 We also could see our boat often from shore…just to keep an eye on it! We decided to do a trolley tour to get an overview of the city. 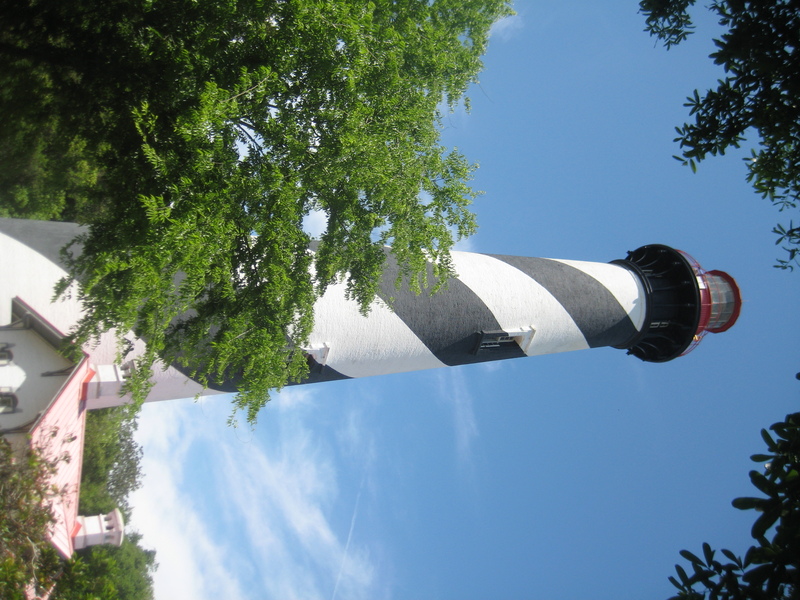 The trolley bus also took us across the bridge to the St. Augustine lighthouse. I love lighthouses and this one was especially nice. 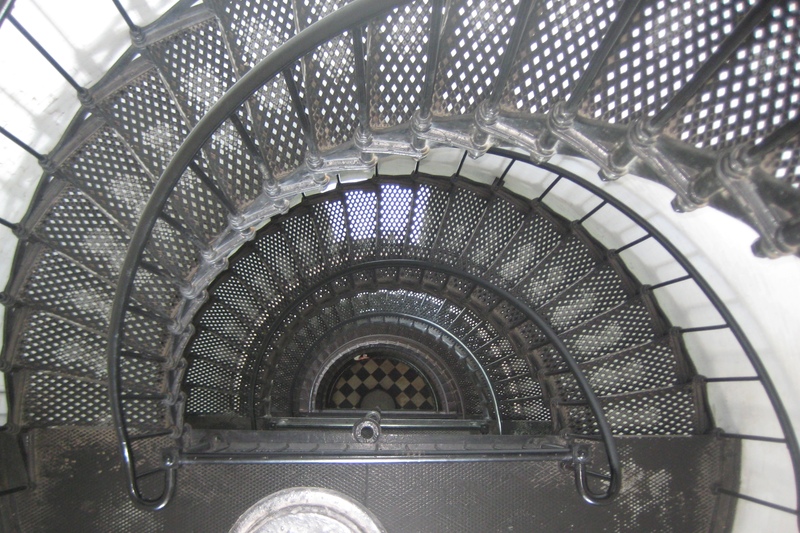 We walked all 219 steps to the top. I cannot imagine in the “old days” having to carry the heavy bucket of kerosene up all those steps! Talk about being in shape!!! 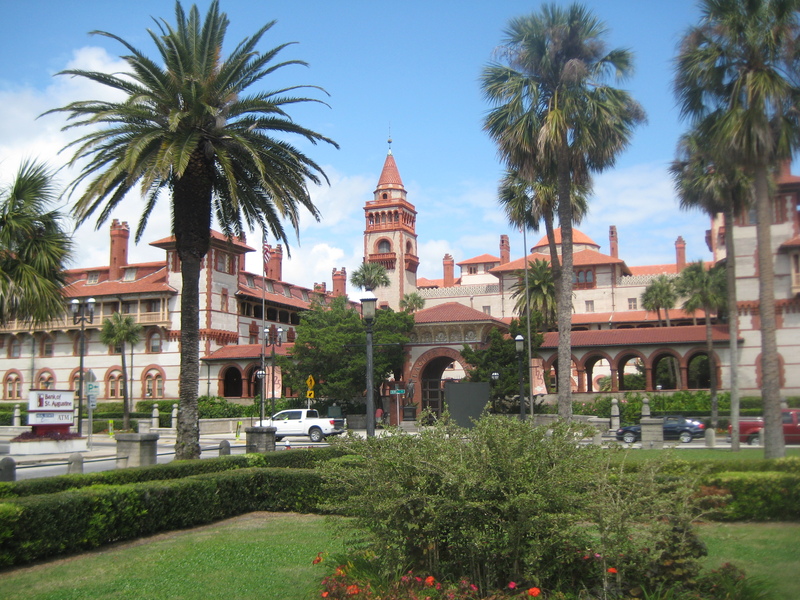 We also toured the old Ponce de Leon hotel which is now Flagler College. 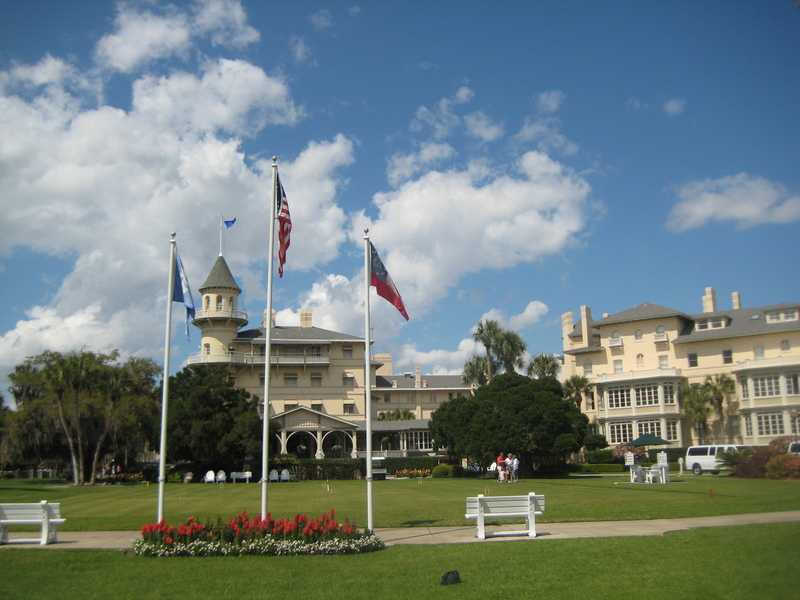 The hotel was built by Henry Flagler in 1882 and had over 450 rooms. It sports Tiffany stained glass windows, oak carved doors, marble floors, and beautiful gold painted murals. Flagler continued to expand into Florida with the building of the railroads that led down the eastern coast all the way to Key West. 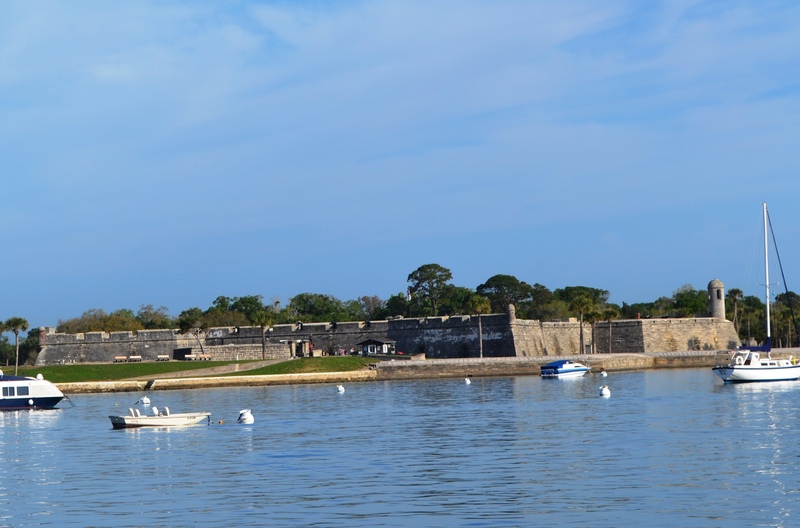 Of course a visit to St. Augustine would be incomplete without touring the Castillo de San Marcos, the Spanish fort build in the late 1600’s. And for a sailor, the visit would not be complete without a visit to the Sailor’s Exchange Consignment Shop on 222 King Street. Thanks to the Murdoch’s, we ended our stay in St. Augustine with a quick trip there. James was looking for a back-up block for our traveler; I just love prowling in these stores. I found a couple of small treasures for decorating. 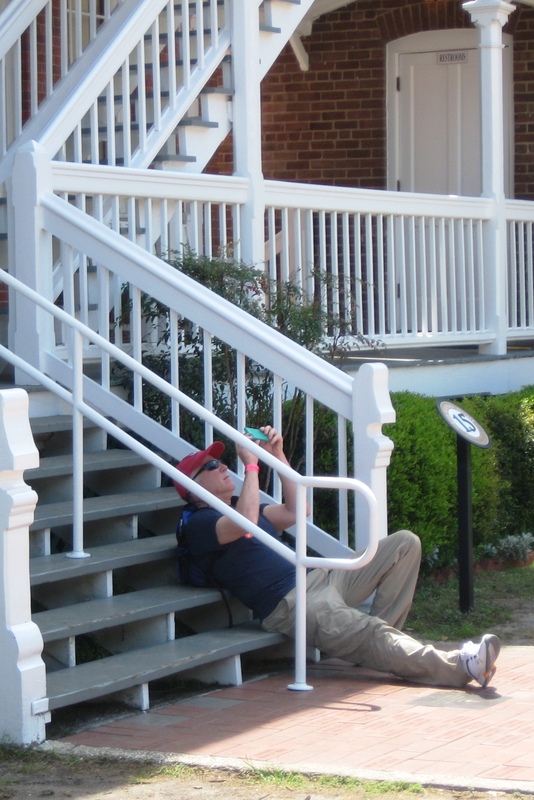 James trying to get full length photo of lighthouse! We are now anchored in Daytona just past the Memorial Bascule Bridge. 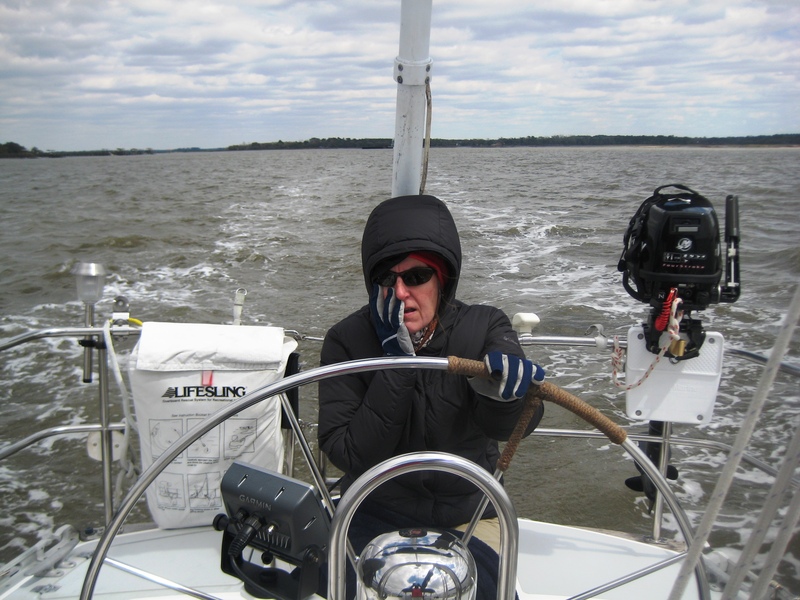 It is very windy which made anchoring a little tricky. We seem to be holding but have no desire to dinghy in the choppy water and wind. Plus it looks like we might have a thunderstorm. Summer weather is approaching quickly. We motored to Saint Marys today and anchored in the harbor. Today was sunny but a little cool with the wind. 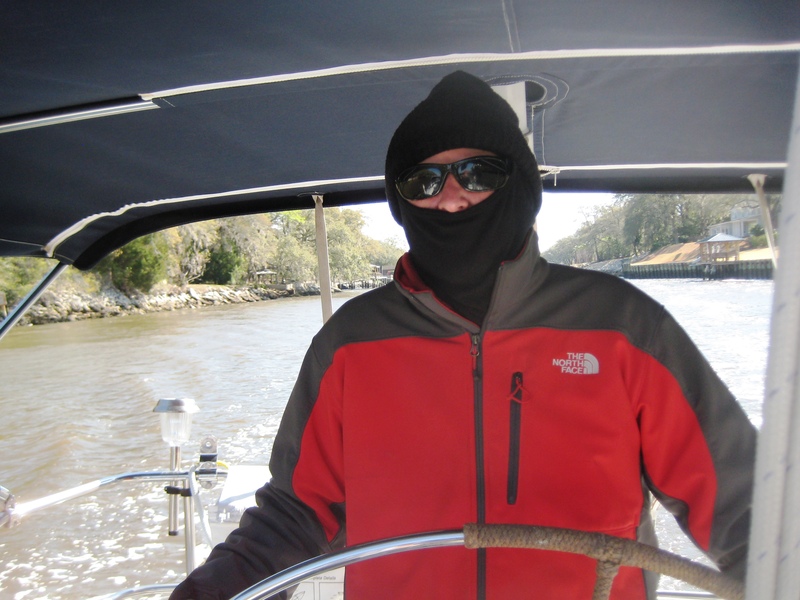 I was thankful I wore my fleece jacket for the dinghy ride because it was choppy and chilly. Saint Marys is a delightfully quaint little town. After talking with the lady at the visitors center, we had a map and a walking plan. 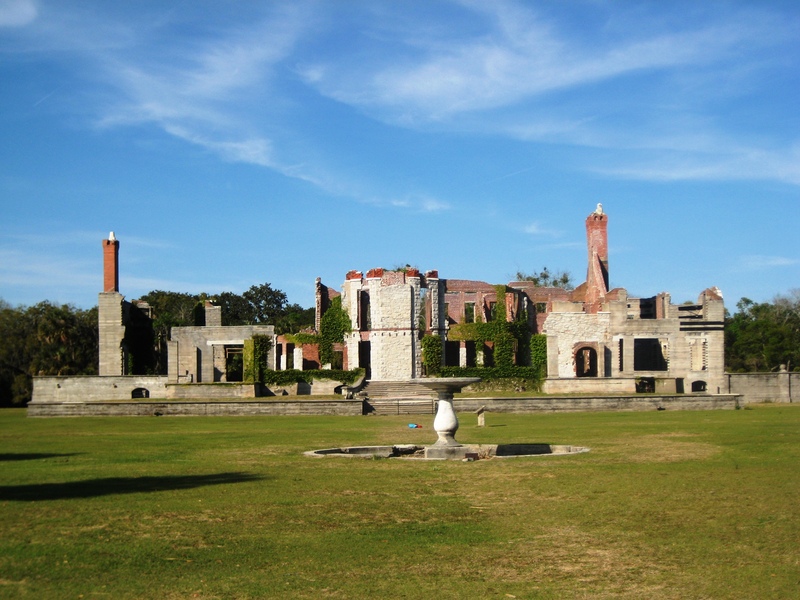 First we went to the Cumberland Island National Seashore Museum. The museum is free and small…my kind of museums. 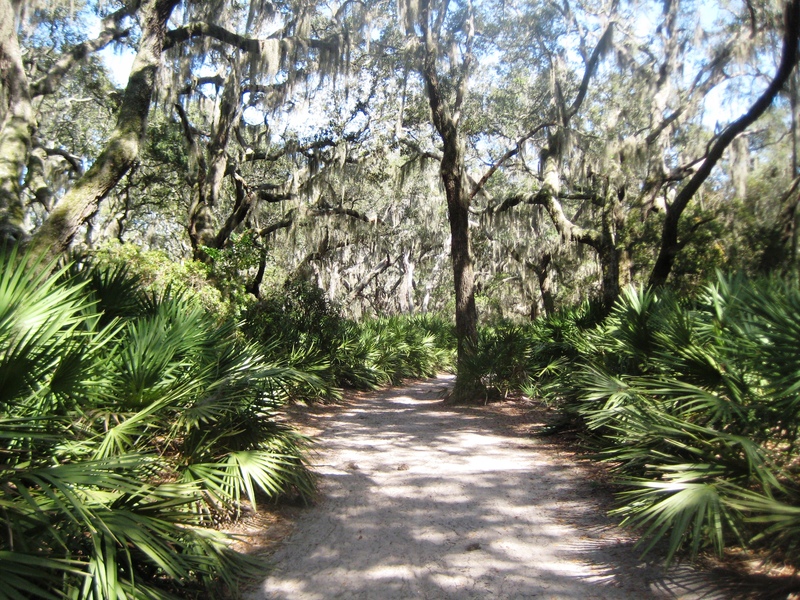 It was very informative and explained many of the things we saw on Cumberland Island yesterday. I was especially interested in the Dungeness mansion and how the Carnegie family lived. After just finishing Downton Abbey, my interest was piqued since it was close to the same time period. 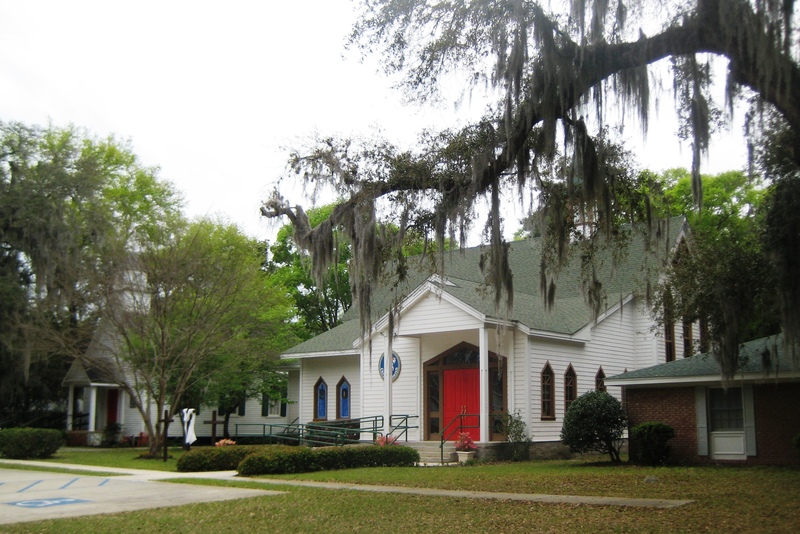 As part of our “tour”, we visited the Presbyterian and the Episcopal churches. The Baptist and the Methodist must not be as trusting, because they were locked! We had planned to eat a seafood supper, but the weather became threatening, and I didn’t relish a ride back in choppier seas and rain. Settling for dessert and coffee, we had mac and cheese and hotdogs for supper instead. Tonight has been our first bad weather since we left Charleston. Along with the rain came 10-15 knots of wind. I pulled my winter pjs back out and am comfy. Of course I took the socks out of the dorads earlier today; it feels like fans blowing through them. 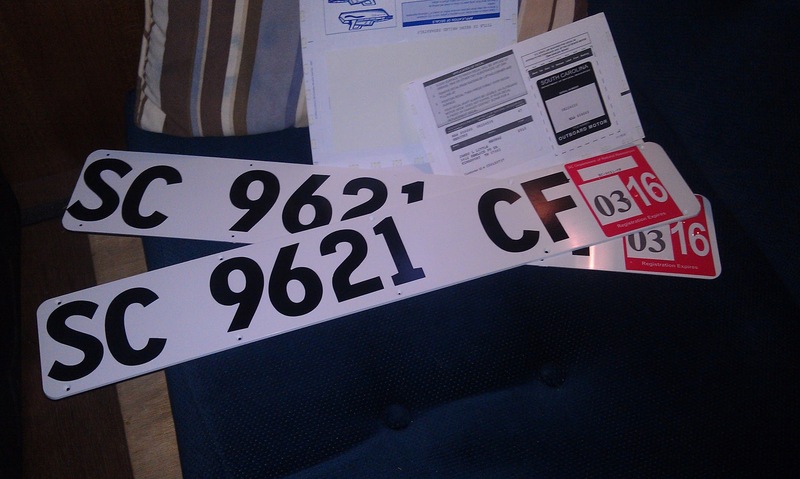 Tomorrow we motor less than 10 miles to Fernandina Beach, Florida. Wow! Florida! Our friends, Rob and Minta Fannon are coming Friday for a short visit. They are in Hilton Head for Rob’s conference today and tomorrow. We hope to sail Saturday. Haven’t had the sails up yet! We left Jekyll Harbor Marina about 10:30 am after a leisurely shower and coffee. We had a short distance today so no need to hurry plus we needed to wait until the tide began to rise again. 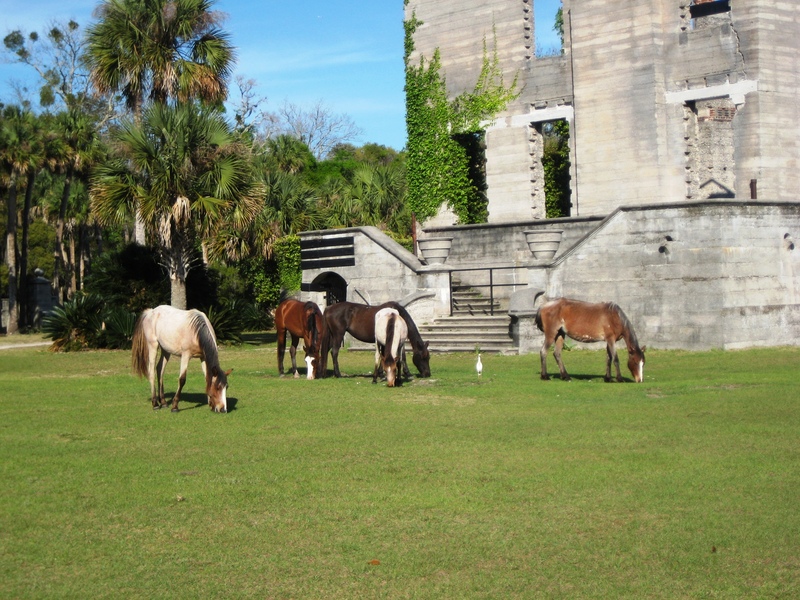 As soon as we could see the shores of Cumberland Island, I had the binoculars scouring the shore for the famous wild horses. I had always hoped to see these feral horses when we had sailed in the Beaufort, NC /Cape Lookout area but never did…well I think I saw one far away but it could have been a dog or a wild pig for all I could tell! Part way down the island we spotted a couple of horses. I was happy even though they were so far away to really get decent pictures, but still there they were.